For Aries, Mercury’s transit through the eighth house, starting Tuesday, is a great time to open up conversations about topics that normally are considered taboo. Actually, in a healthy relationship you are able to share a wide range of both positive and negative feelings without fear of judgement or rejection. With Mercury conjunct Jupiter in the eighth house, Wednesday is a great day for money negotiations, financial planning and strategizing – plan some business meetings and events, try to impress your boss or to write a business plan. Thursday, the New Moon in the seventh house announces a good time to make contacts and to make something public. Those Aries who don’t have a partner can be sure that they aren’t destined to grow old alone. Actually, they can find one right now, because their seduction skills are at their peaks. Relationship is an absolute priority for Taurus, during this week. Starting from Tuesday, when Mercury enters the seventh house, Taurus feels most comfortable spending time with his/her partner. Even if they spend the day apart at separate jobs, they talk throughout the day, by phone call, email or text messaging. Then, in the evening, they eat together, go for a walk together and go to bed together. Thursday, with the New Moon in the sixth house, Taurus men and women have a strong desire to be useful, to strike back against selfishness and greed. Some Taurus donate money or food, others volunteer or find some way to offer online help for free. This is an excellent time for Geminis to organize their working environment and to better communicate with co-workers. They keep their workspace clean and organized, remembering that mess equals stress. Poor communication at work can also cause stress, so that Geminis use their communication skills to create a friendly environment. They connect on a personal level with colleagues and they even develop relationships outside of work, getting to know and to like each other outside of the office. Thursday, the New Moon in the fifth house boosts Gemini’s creativity. They have great ideas, which they share with the love ones. This is also a good moment to spend more time with your children – your inner child is strong, thanks to the New Moon, so that he will enjoy playing with other children. Those born under the sign of Cancer have a great week, feeling loved and appreciated by their family and especially by their partner. Their spouses find many ways to show their appreciation and love toward the Crab: make them their favourite food, bring them their favourite hot drink, and tell them some secrets that nobody has ever heard before. All this is a confession that they consider lucky to have them in their life. So, this week is, for Cancer men and women, about emotional security and love. Thursday, the New Moon in the fourth house may be the best time to plan and organize a family reunion. Most of your relatives will be delighted! With Mercury transiting the fourth house, Leo is more rational when it comes to personal matters, so that this is a great time to open up conversations with the loved ones. 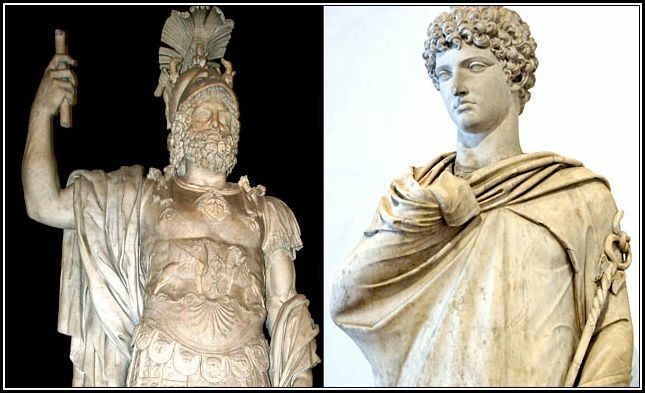 No matter what age a Leo has, Mercury will help him to develop a better relationship with his/her parents. Leo becomes more forgiving when they annoy him/her and let them know that he/she is appreciative for all they have done for him/her. And this applies not only in respect of Leo’s parents – they also improve their relationships with other close relatives, like brothers and sisters, uncles and aunts, cousins and grandparents. Thursday, the New Moon in the third house is a favourable time for learning something new. Check your tire pressure, make sure your mirrors are good to go and change your car’s oil! You will have to be in many different places, between October 16th and October 22nd, traveling a lot for work until Friday and traveling for pleasure in week-end. Fortunately, Virgo will have good company: friendly co-workers, family members in week-end, even nice people they have never meet before, but who appear in their life this week. With Mercury conjunct Jupiter in the third house, Wednesday is also a great time for learning new thing and for acquiring new intellectual skills. So, start (or keep) reading! Thursday, with the New Moon in the second house, financial issues come into focus. You can discover some ways to increase your revenue. This week, it is easy for Libra to find the right business partners and to create a positive work environment. Libra connects on a personal level with co-workers, developing good relationships at office, but also outside of work. This good work atmosphere leads Libra employees and entrepreneurs to success in career and business. Thursday, the New Moon in the first house it is time when Libras can enjoy new experiences. They simply let curiosity guide them, everywhere they are: at home, in the kitchen as well as in the bedroom, but also at work or when they go out for shopping or for having fun. Self-expression comes easy for those born under the sign of Scorpio, starting Tuesday, when the communicative Mercury enters their first house. Any trace of social anxiety just disappears and Scorpio men and women don’t care what other people think about them, about their actions and their words. Whatever they do, they are natural. So, this is a good week for going to social events, speaking in public, expressing themselves through writing, dancing or any other kind of art. 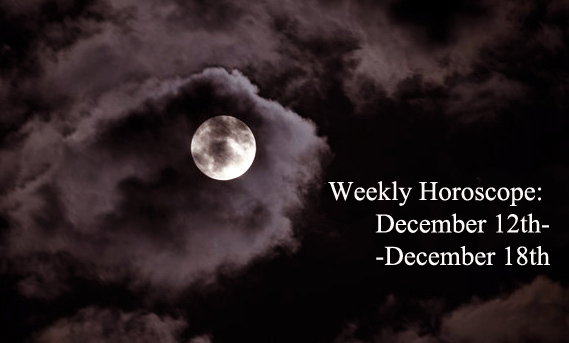 Thursday, the New Moon in the twelfth house asks you to start a spiritual practice. Prayer and meditation can help you a lot – there are many scientifically proven benefits, like improving immune system and energy level or enhancing self-esteem and self-acceptance. 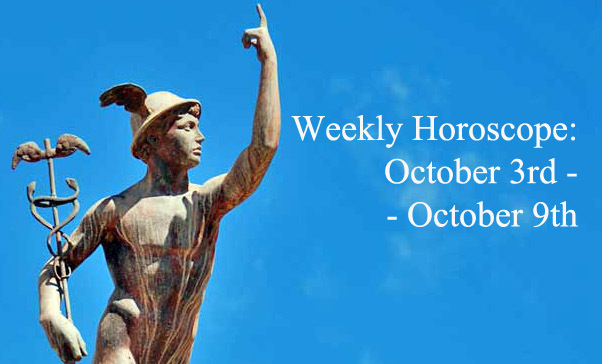 Sagittarius needs more privacy, once Mercury enters the twelfth house, on October 17th. It will be easy enough to convince your partner and your close relatives that you need some time alone and that it is normal to have some secrets you don’t want to share. But it will be more difficult to protect your online privacy, so that you have to take care when you are online. A good place to start protecting yourself is by updating privacy settings on websites, social media and search engines such as Facebook, Google or Yahoo. Thursday, the New Moon in the eleventh house is the best time to make new friends, with whom relations will grow fast. With Mercury entering the eleventh house, Capricorns stay close to their friends. They are there, for emotional support, anytime a friend needs it. But they are also there to have fun together, to simply hang out in evenings or in the week-end. And there will be a lot of fun! Thursday, the New Moon in the tenth house it is a good time to develop new business plans and goals. In the week-end, Mars also entering the tenth house stimulates ambition and the desire to be recognized for your accomplishments. This week, with Mercury entering the tenth house, Aquarius finds some effective ways to gain respect in the workplace. Those born under this sign become problem solvers, constantly aware of constantly changing circumstances and ready to adapt their approach accordingly. So, good news especially for Aquarius managers, hearing officers, education administrators or magistrates, who constantly have to solve problems at work. Thursday, the New Moon in the ninth house invites you to get out of your box, to open yourself to new experiences! You feed your spirit for adventure and you break out of your daily routine. Starting Tuesday, with Mercury entering the ninth house, Pisces are more interested than usual in subjects relating to foreign cultures and traditions. It is a good time for traveling abroad or at least to meet men and women from different countries or people who travelled much, lately. Internet and social media also connect you to people worldwide. And there are many other recommended activities for you: try some international cuisine, listen to foreign music, listen radio stations from all over the world. Thursday, with the New Moon in the eighth house, you need to develop intimacy: emotional intimacy, but also physical intimacy. We recommend a romantic evening – it is important to spend some quality time with your partner. 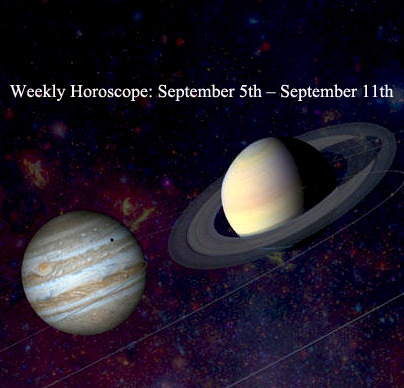 Share the post "Weekly Horoscope: October 16th-October 22nd"